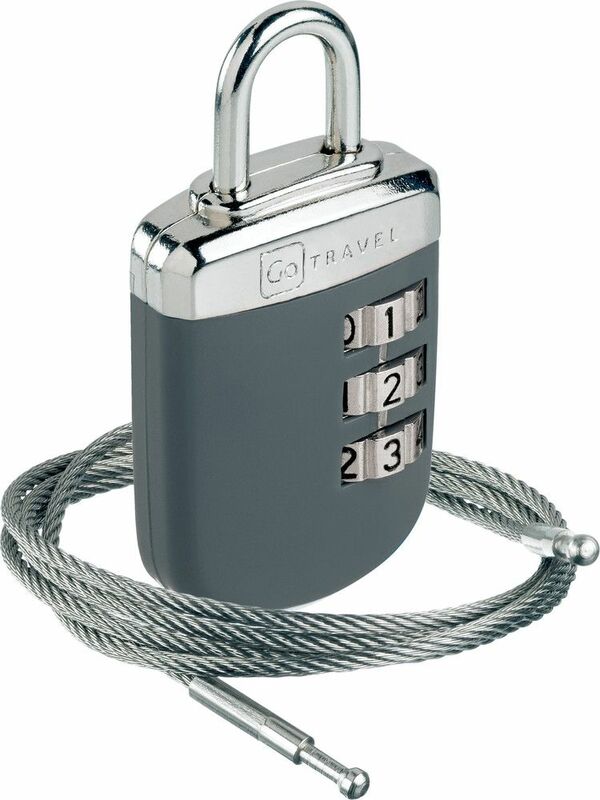 This combination Cable Lock secures luggage and attaches to any permanent fixture in seconds. 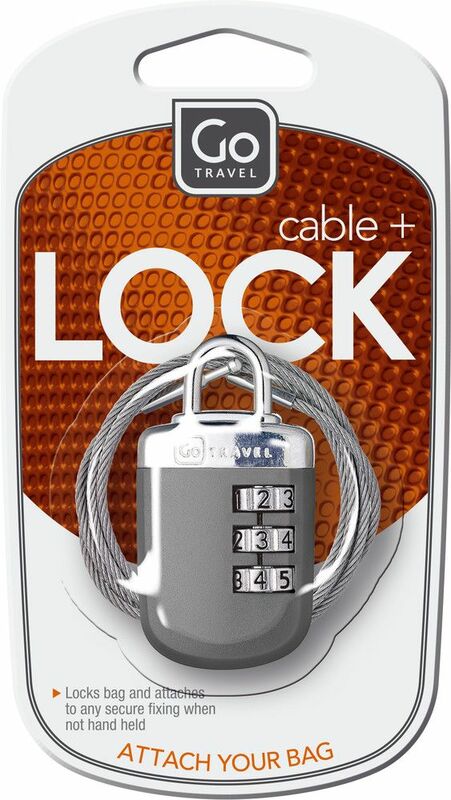 The tough steel cable is ideal for linking together multiple bags and keeping your belongings safe. 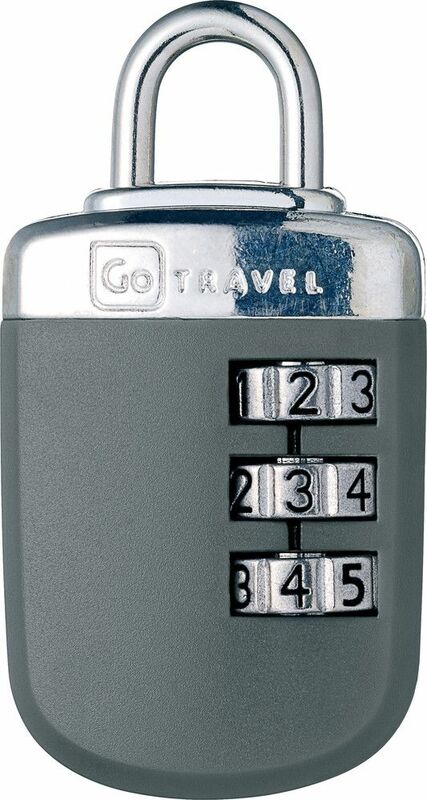 With no keys to lose, the padlock's 3 dial combination is easy to set using a memorable code of your choosing. • Spin the shank around 90 degrees from the opening position and depress. • Keep the shank depressed in this position and move the dials to your desired personal combination code. • Then lift the shank and turn it back 90 degrees to the original position and depress. • To lock the padlock move the dials on to any different numbers, the shank should then be secured in place. • To open the padlock simply move the dials back to your chosen personal combination code and the shank will be released.